We offer the technical competence to equip experimental vehicles with measuring technology as well as expertise in the human sciences for the conduct of experiments. 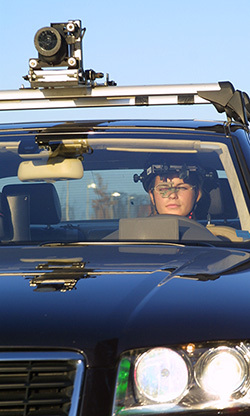 With this self-concept in mind, our experienced and engaged team of psychologists, engineers and technicians commits to the challenging activity of conducting test drives for evaluation studies and driver drowsiness research. The portfolio of the department includes all aspects of this field – including design of the test drives (technical support, routing, test setup) as well as the acquisition of test participants who fit to the prescribed sample characteristics, the fitting of own or foreign experimental vehicles with measuring equipment, the conduct of the tests in due time and the analysis of the results of the study. 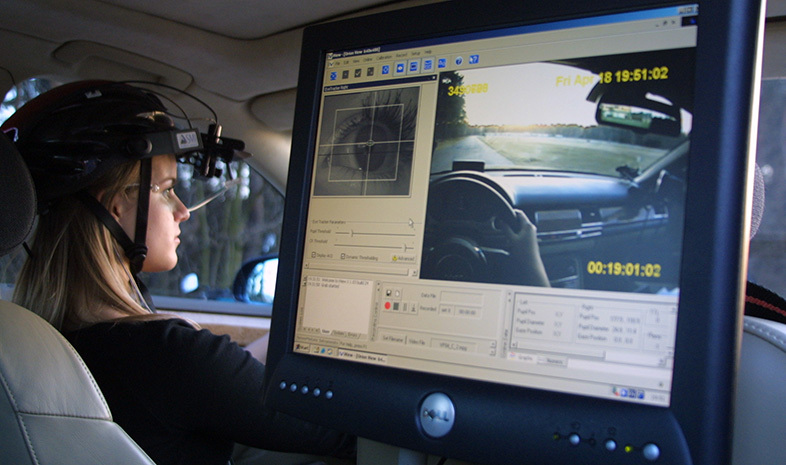 We offer expertise in the technologies and methods for the evaluation of stress, distraction, vigilance or fatigue. We measure parameters concerning the perception of the behavior or emotions. Reliable standard measuring procedures include the evaluation of gaze behavior characteristics, cardiac activities, electrodermal activity, brain activities and core temperature. The portfolio is complemented by video observation techniques (concerning the driver and the traffic environment) as well as the measurement of behavioral parameters like steering wheel movements, button inputs or lateral deviations. The development of additional questionnaires is another competency of our team. Of course we analyze the data from physiological and physical measurements as well as from video recordings and questionnaires and we derive results which are statistically assured – also for large sample sizes.